The BT SkillsUSA chapter received a $5,000 grant to assist our students in travel and materials expenses needed to compete in regional and the state championship meets. Only a dozen high schools from across the nation will each receive grants of up to $5,000 from Harbor Freight Tools for Schools, strengthening their local SkillsUSA chapters in their work to support skilled trades students. 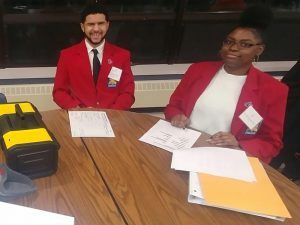 The grants support SkillsUSA chapters established within the past three years that serve students enrolled in construction trades, transportation or manufacturing clusters. Funds will be used to support SkillsUSA chapter development including educational materials, contest uniforms, travel and registration for technical competitions, training, guest speakers, career fairs and local industry visits.